Hi everyone! I’m back to share my third spot for Your Next Stamp this month. It’s a project for the YNS November Design Team Dare! It’s a monthly challenge for the YNS Design Team to showcase more fun projects using the new release products! If you leave a comment on the YNS blog post, you could WIN a YNS stamp set of your choice! Even if I really like to go for non-traditional Christmas colors as teal and green or pastel pink and silver, my all-time favorite color combination for Christmas is a mix of red and pine green with a touch of gold, a lot of glitter and a bit of white. Green for the Christmas trees and the wreaths. Red and gold for ornaments. White for the snow, the candles and some decorations too. On my card is too much of green and not enough of red but anyway… It was so fun to play with this new Reinbeer stamp set. For the arms, I used the formerly released Create a Character set which is so fun and versatile. I created a table using wood grain paper and I added a tablecloth over it made from gingham patterned paper. 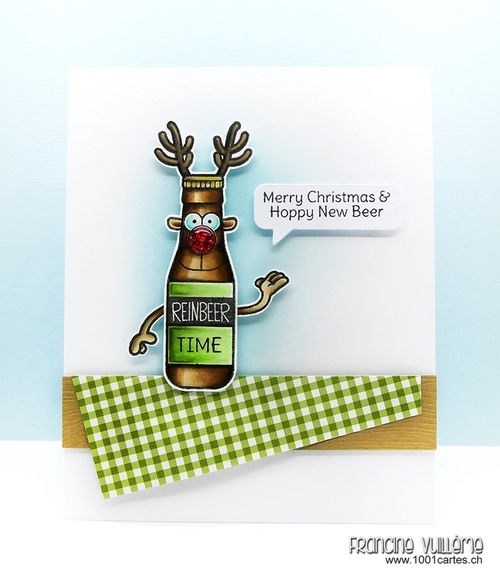 To see the other DT members’ creations and for your chance to WIN a stamp set of your choice, hop over to the YNS blog. Oh I love how you used the checkered DP with this fun image and added the arms from the other set Francine. Perfection. 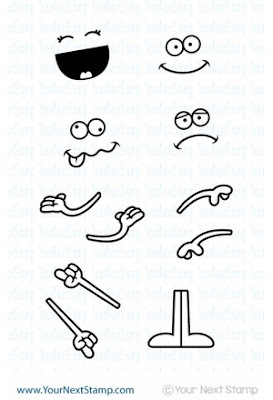 What a super fun image!! This is such a sweet and fun card !! 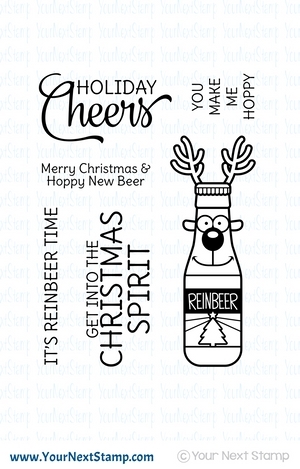 I love that Reinbeer set so much ! Absolutely adorable card, Francine! Love your choice of sentiments and how you created the tablecloth...so FUN!!! Your card is so funny, I love it !